Food Safety Laws Are Not Applied To Pet Food! Food safety laws are not applied to pet food? Instead, pet food is classified as feed and is allowed to contain adulterated ingredients. The exception to this is Human-Grade Pet Foods like Steve’s Real Food. 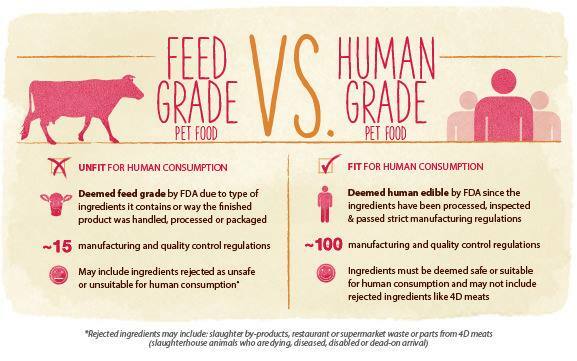 Come visit to find out what pet foods are considered Human Grade.